Since 1949, the Conference on College Composition and Communication (CCCC) has been the world's largest professional organization for researching and teaching composition, from writing to new media. Welcome to our community. You'll find the field's leading resources and, more important, expert scholars and teachers eager for you to join us. 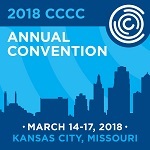 Call for Nominations in the 2018 CCCC Elections! This document was printed from http://www.ncte.org/cccc.